Next step is to select the appropriate axes. 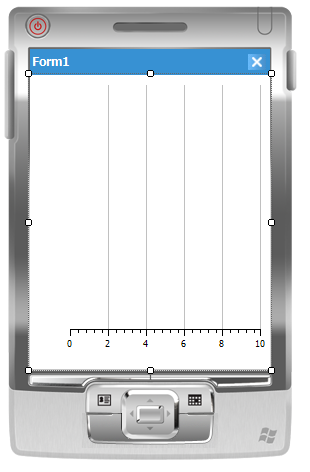 First we select the x-axis (horizontal). There are three types of x-axes: LinearXAxisFoat, LinearXAxisLong and LinearXAxisDateTime. The type of axis depends on the type of data you have. 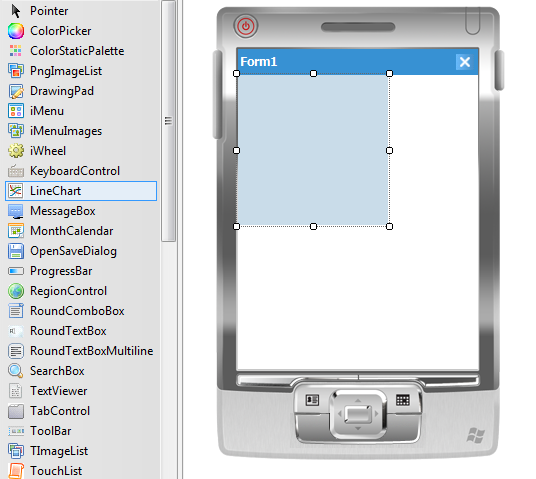 To insert an axis simply select one from the list. After selecting the axis your control should see like this (Note: BackColor was set to White). There can be only one x-axis selected at the moment. 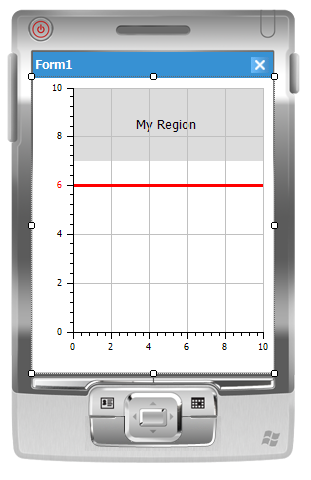 If you later change the type of axis, you will loose all your setting from previous axis. Next step is to add y-axis (vertical). Unlike the x-axis, line chart can have more y-axis. 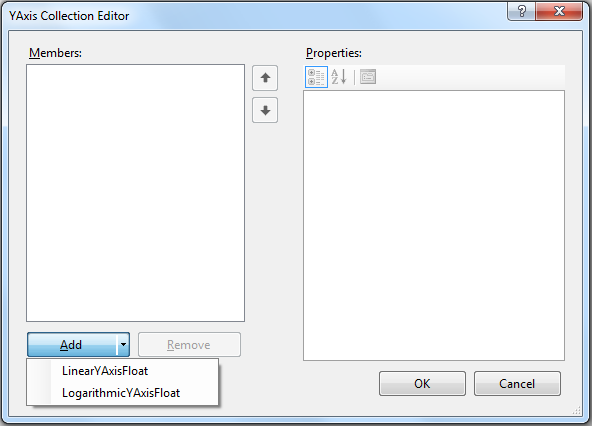 Y-axes can be added using YAxis Collection Editor (see below). There are two types of y-axis: LinearYAxisFloat and LogarithmicYAxisFloat (logarithmic scale based 10). There are many properties that you can set to adjust axis to your needs. 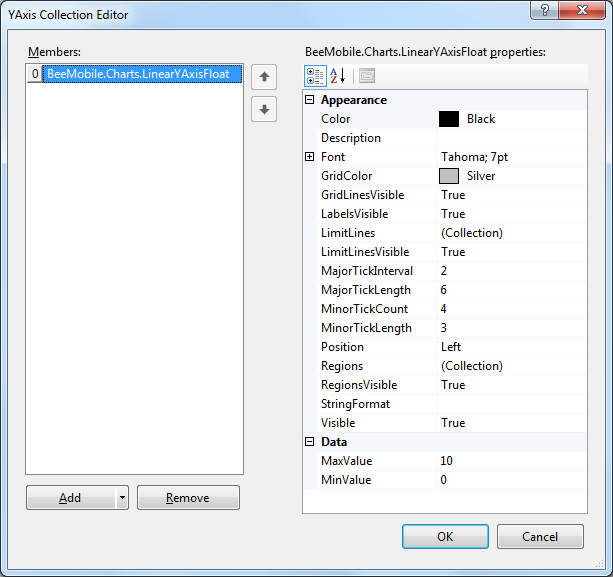 Regions and LimitLines can be added using Region Collection Editor and LimitLine Collection Editor on each axis. 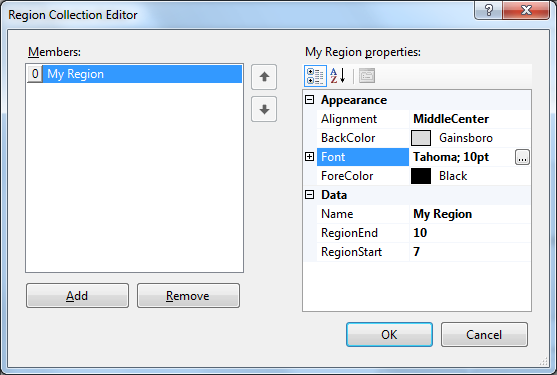 Region is a custom block of space on axis with its own name, font, background and foreground color which can represent special interval on the axis. 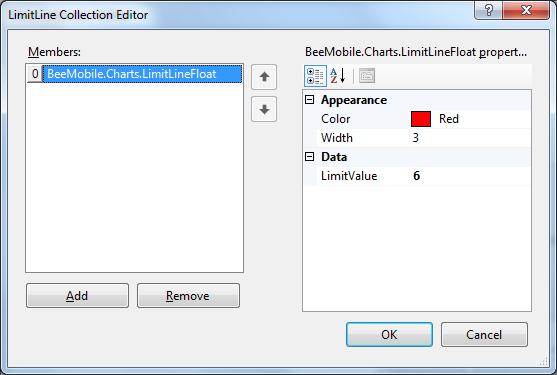 LimitLine is a custom line with its own color and width which can represent special value on the axis. Last important part is to add data. The type of data must be compatible with the type of axes. Line chart can have multiple series of data. 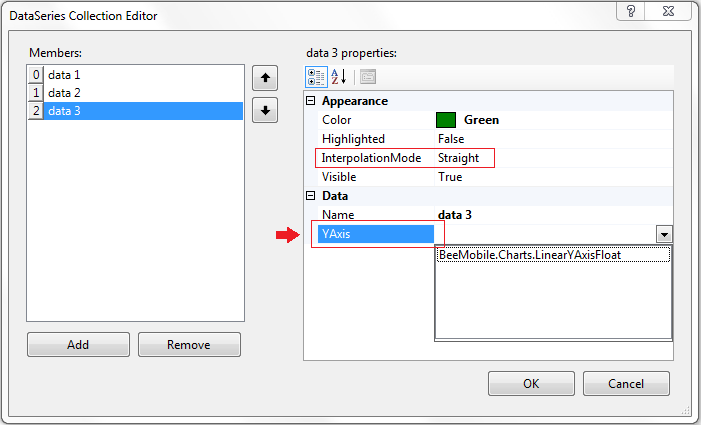 Each data series can be designed in Visual Studio Designer, but the data itself can be added in runtime. 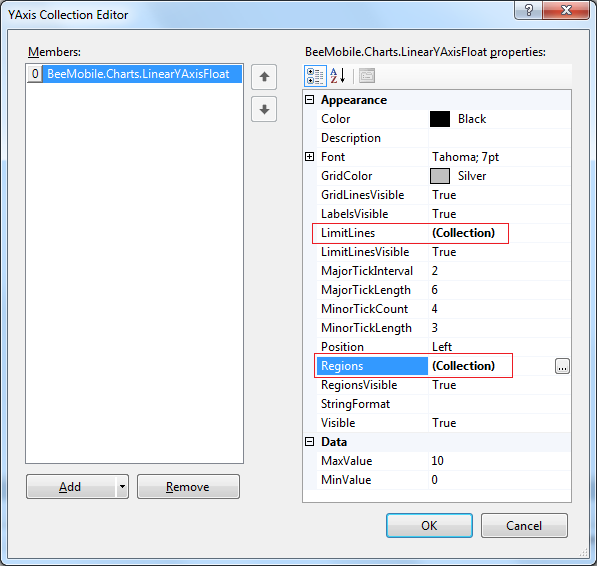 DataSeries can be added using DataSeries Collection Editor. The property which holds data series is called ChartData. The most important thing about data series is that it has to be binded to some y-axis – if it isn’t, the data will not be drawn. To bind y-axis click on the property YAxis and select some of the chart’s y-axis. Another interesting feature is interpolation mode. In Straight interpolation mode points are connected directly, in Angled mode they are connected with two perpendicular lines. 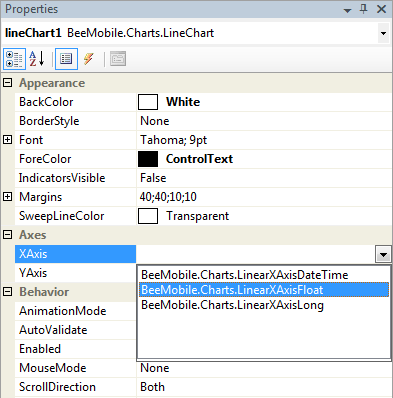 Next code shows a way to add data to data series added to LineChart (property ChartData).